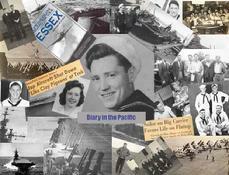 This page is dedicated to my father service in ww2 aboard the USS ESSEX. Click a photo to link to a web page. You will fine nearly thirty links on this page. In some cases you will need to close a page before you can link to a second page. 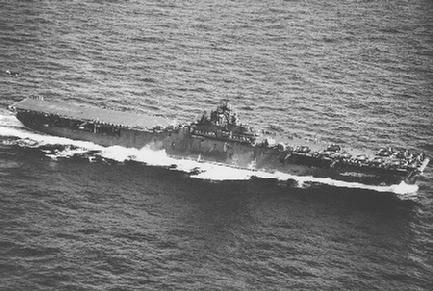 May 1943: USS Essex CV-9 underway in the Pacific during World War 2. 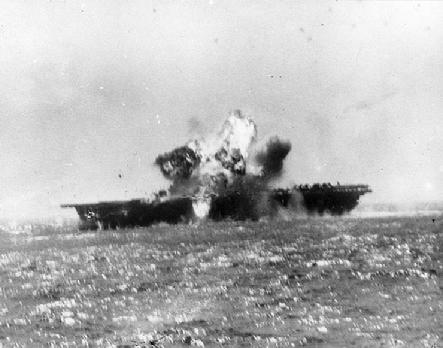 November 25, 1944: The Kamikaze exploding on the USS Essex CV-9. 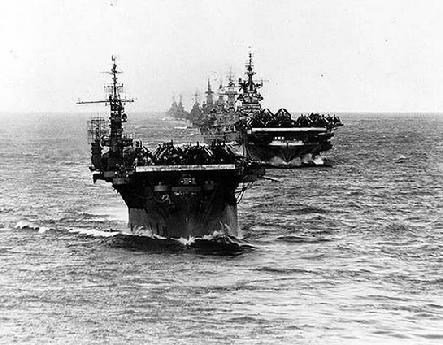 Entering Ulithi Lagoon while returning from strikes on targets in the Phillipines, December 1944. 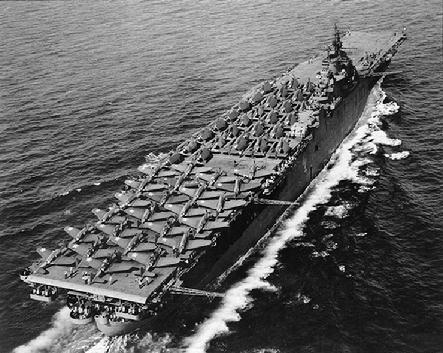 Ships are (from front) Langley CVL27, Ticonderoga CV14, Washington BB56, North Carolina BB55, South Dakota BB57, Santa Fe CL60, Biloxi CL80, Mobile CL63, and Oakland CL95. 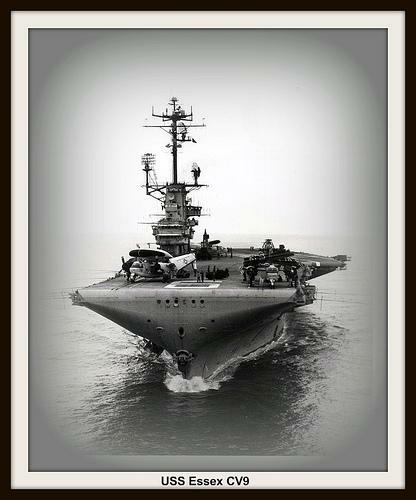 Picture taken from Fantail of USS Essex CV9. 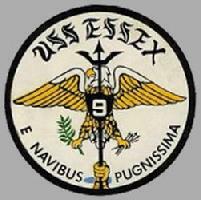 This web page is in honor of the USS Essex CV9, and the airmen that served in her during the War in thePacific from 1943 to 1945. 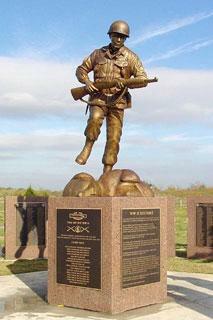 Here you will find Hellcataces, Helldiver pilots, and their gunners, and winners of the Distinguished Flying Cross, the Air Medal, and the Medal of Honor. 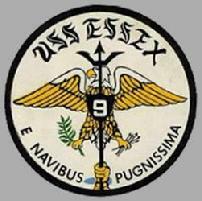 Essex won 13 Battlestars. The most of any ship in the Essex class. 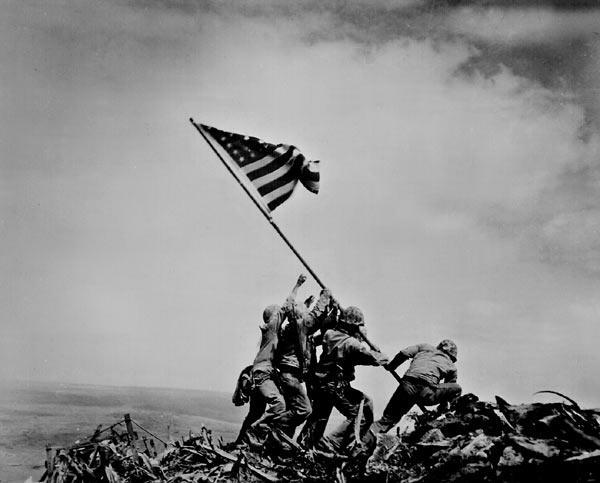 This is a tribute to all who served in the "Fightingest Ship in the fleet"
World War II, or the Second World War (often abbreviated WWII or WW2), was a global military conflict which involved a majority of the world's nations, including all of the great powers, organized into two opposing military alliances: the Allies and the Axis. 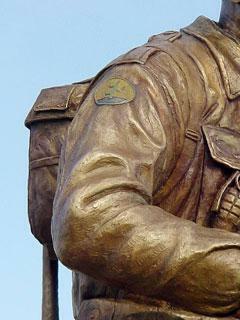 The war involved the mobilisation of over 100 million military personnel, making it the most widespread war in history. In a state of "total war", the major participants placed their complete economic, industrial, and scientific capabilities at the service of the war effort, erasing the distinction between civilian and military resources. Over seventy million people, the majority of them civilians, were killed, making it the deadliest conflict in human history. The start of the war is generally held to be in September 1939 with the German invasion of Poland and subsequent declarations of war on Nazi Germany by most of the countries in the British Commonwealth and France. Many belligerents entered the war before or after this date, during a period which spanned from 1937 to 1941, as a result of other events. Amongst these main events are the Marco Polo Bridge Incident (fought between Nationalist China and Japan), the start of Operation Barbarossa (the Nazi invasion of Russia), and the attacks on Pearl Harbor and British and Dutch colonies in South East Asia. 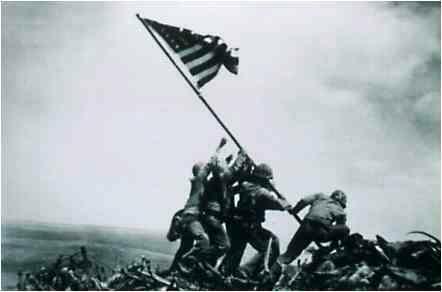 The Soviet Union and the United States emerged from the war as the world's superpowers. This set the stage for the Cold War, which lasted for the next 45 years. The United Nations was formed in the hope of preventing another such conflict. The self-determination spawned by the war accelerated decolonisation movements in Asia and Africa, while Western Europe itself began moving toward integration. 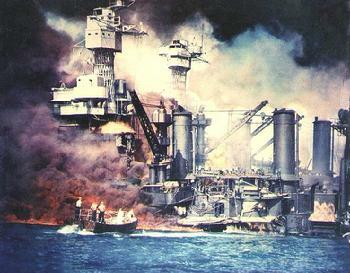 The attack on Pearl Harbor (or Hawaii Operation, as it was called by the Imperial General Headquarters) was a surprise military strike conducted by the Japanese navy against the United States' naval base at Pearl Harbor, Hawaii, on the morning of Sunday, December 7, 1941, later resulting in the United States becoming militarily involved in World War II. 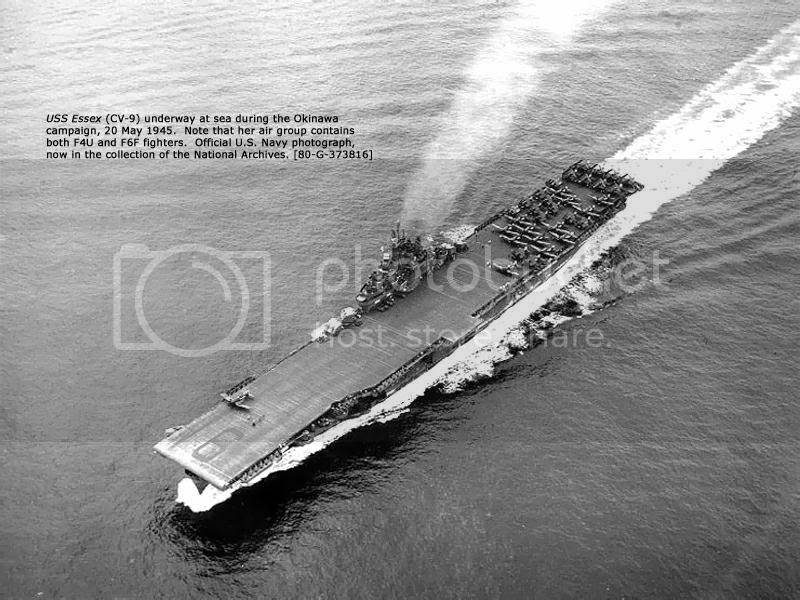 It was intended as a preventive action to keep the U.S. Pacific Fleet from influencing the war Japan was planning to wage in Southeast Asia against Britain, the Netherlands, and the United States. 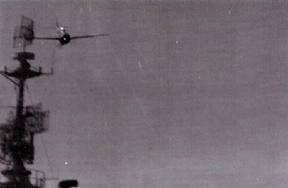 The attack consisted of two aerial attack waves totaling 353 aircraft, launched from six Japanese aircraft carriers. 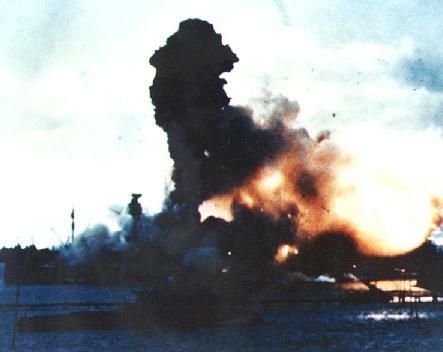 The attack was a major engagement of World War II. It occurred before a formal declaration of war and before the last part of a 14-part message was delivered to the State Department in Washington, D.C. The Japanese Embassy in Washington had been instructed to deliver it immediately prior to the scheduled time of the attack in Hawaii. The attack, and especially the 'surprise' nature of it, were both factors in changing U.S. public opinion from the isolationist position of the mid-1930s to support for direct participation in the war. Germany's prompt declaration of war, unforced by any treaty commitment to Japan, quickly brought the US into the European Theater as well. 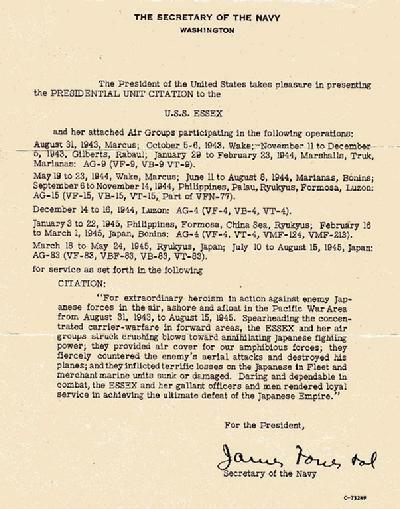 The lack by Japan of any formal declaration prior to the attack led President Franklin D. Roosevelt to proclaim "December 7th, 1941 � a date which will live in infamy". Three American, one Canadian, and three British divisions landed on Sicily on July 10. They pushed across the island from beachheads on the south coast in five weeks, against four Italian and two German divisions, and overcame the last Axis resistance on August 17. In the meantime, Mussolini had been stripped of power on July 25, and the Italian government had entered into negotiations that resulted in an armistice signed in secret on September 3 and made public on September 8. On September 3 elements of Montgomery�s British Eighth Army crossed the Strait of Messina from Sicily to the toe of the Italian boot. The U.S. Fifth Army, under Gen. Mark W. Clark, staged a landing near Salerno on September 9; and by October 12, the British and Americans had a fairly solid line across the peninsula from the Volturno River, north of Naples, to Termoli on the Adriatic coast. The Italian surrender brought little military benefit to the Allies, and by the end of the year, the Germans stopped them on the Gustav line about 100 km (about 60 mi) south of Rome. A landing at Anzio on Jan. 22, 1944, failed to shake the Gustav line, which was solidly anchored on the Liri River and Monte Cassino. The modern world is still living with the consequences of World War 2, the most titanic conflict in history. Just under 69 years ago on September 1st 1939, Germany invaded Poland without warning sparking the start of World War Two. Estimates for the total casualties of the war vary, but most suggest that some 60 million people died in the war, including about 20 million soldiers and 40 million civilians. Many civilians died because of disease, starvation, massacres, bombing and deliberate genocide. 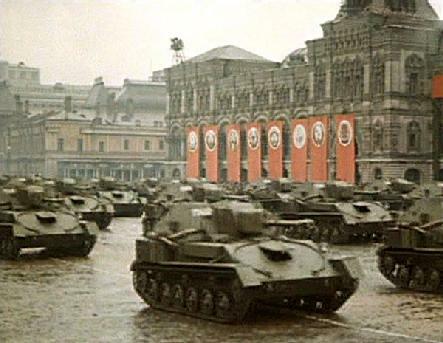 The Soviet Union lost around 27 million people during the war, about half of all World War II casualties. Of the total deaths in World War II, approximately 85 percent were on the Allied side (mostly Soviet and Chinese) and 15 percent on the Axis side. One estimate is that 12 million civilians died in Nazi concentration camps, 1.5 million by bombs, 7 million in Europe from other causes, and 7.5 million in China from other causes. Figures on the amount of total casualties vary to a wide extent because the majority of deaths were not documented. Many of these deaths were a result of genocidal actions committed in Axis-occupied territories and other war crimes committed by German as well as Japanese forces. The most notorious of German atrocities was The Holocaust, the systematic genocide of Jews in territories controlled by Germany and its allies. The Nazis also targeted other groups, including the Roma (targeted in the Porajmos), Slavs, and gay men, exterminating an estimated five million additional people. The targets of the Axis-aligned Croatian Usta�e regime were mostly Serbs. For Japan, the most well-known atrocity is the Nanking Massacre, in which several hundred thousand Chinese civilians were raped and murdered. 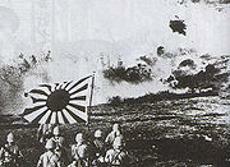 The Japanese military murdered from nearly 3 million to over 10 million civilians, mostly Chinese. According to Mitsuyoshi Himeta, at least 2.7 million died during the Sankō Sakusen implemented in Heipei and Shantung by General Yasuji Okamura. Limited Axis usage of biological and chemical weapons is also known. The Italians used mustard gas during their conquest of Abyssinia, while the Japanese Imperial Army used a variety of such weapons during their invasion and occupation of China and in early conflicts against the Soviets. Both the Germans and Japanese tested such weapons against civilians and, in some cases, on prisoners of war. While many of the Axis's acts were brought to trial in the world's first international tribunals, incidents caused by the Allies were not. 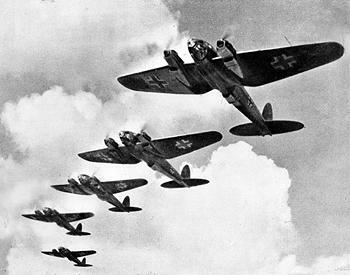 Examples of such actions include population transfer in the Soviet Union, the Soviet forced labour camps (Gulag), Japanese American internment in the United States, the Operation Keelhaul, expulsion of Germans after World War II, the Soviet massacre of Polish citizens and the mass-bombing of civilian areas in enemy territory, including Tokyo and most notably at Dresden. Large numbers of deaths can also be attributed, if even partially, indirectly to the war, such as the Bengal famine of 1943. General Geiger entered flight training at Pensacola, Florida in March 1916 and became the Marine Corps' fifth aviator in June 1917. In France during World War I, he commanded Squadron "A" of the First Marine Avaition Force. After the war, his duties were divided between aviation commands, attendance at Staff Colleges, Director of Aviation at Headquarters Marine Corps and Naval Attache', London, England. 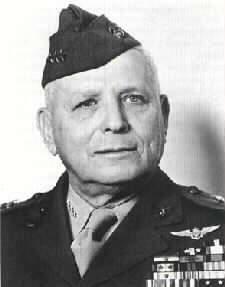 At the outbreak of World War II, General Geiger was in command of the First Marine Aircraft Wing, Fleet Marine Force. 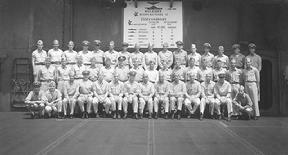 He led the 1st Marine Air Wing at Guadalcanal from 3 September to 4 November 1942. 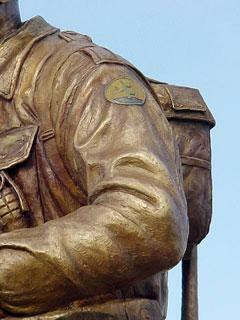 In 1943 he returned to Headquarters Marine Corps as the Director of Aviation. He returned to the field in November 1943 as the Commanding General of the First Marine Amphibious Corps, (later designated Third Amphibious Corps) which he led at Bougainville, Guam, Peleliu and Okinawa. It was at Okinawa that General Geiger's command was part of the 10th Army of General Simon Bolivar Buckner, U.S. Army. When General Buckner was killed, General Geiger assumed command of the 10th Army until the successful conclusion of the campaign. 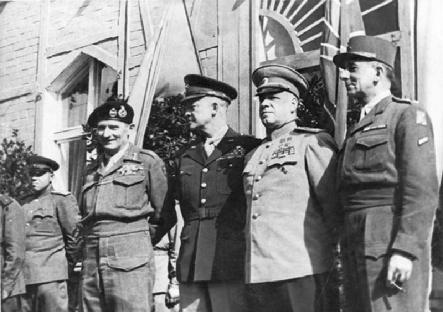 General Geiger commanded the Fleet Marine Force, Pacific from July 1945 until he was called back to Headquarters Marine Corps in November 1946. 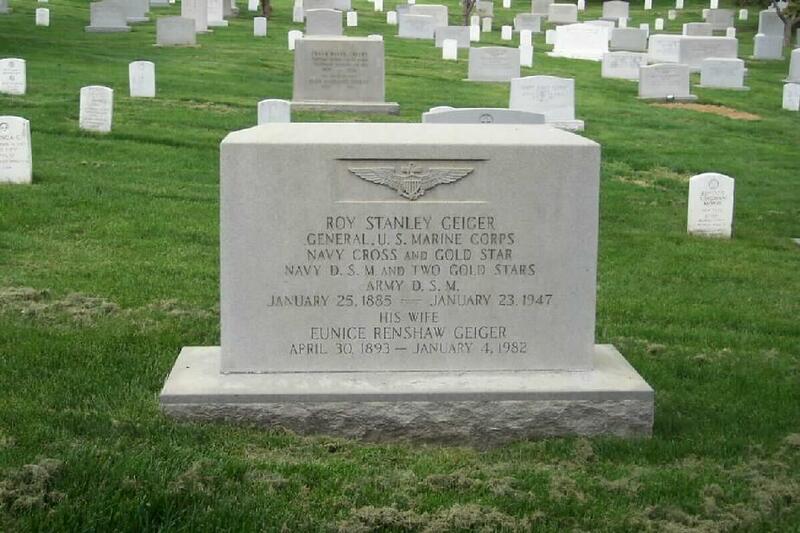 Three months later, on 23 January 1947, General Geiger died at the National Naval Medical Center, Bethesda, Maryland. 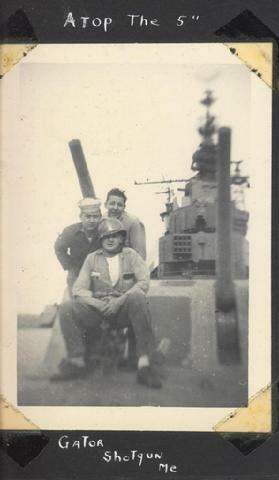 To browse our entire color photo gallery on the WW2 War!